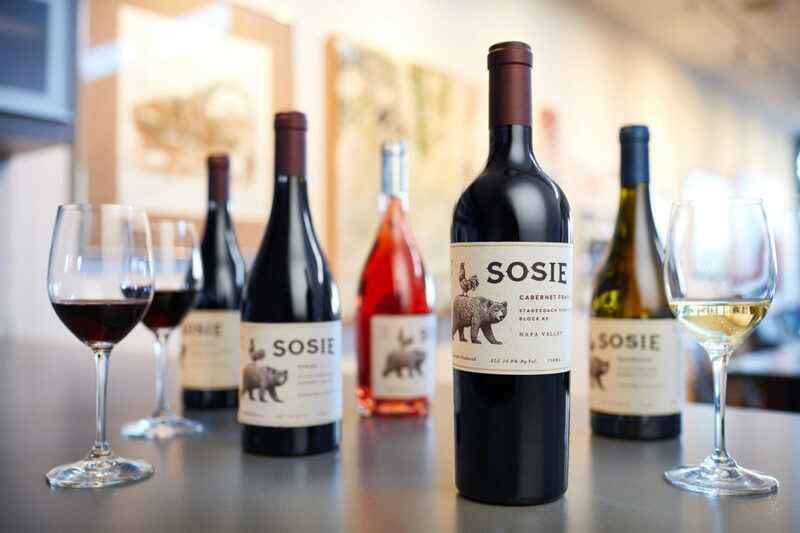 Sosie is the passion project of a San Francisco couple with a major wine-jones. For years they had toured the great wine regions of Europe and dreamed of one day launching their own label. When they finally made the leap, it was with the conviction that their wines would stand for something. That they would have, not just a style, but a purpose: to be food-friendly. As such, Sosie wines are lower in alcohol, higher in acid, made in small batches with minimal intervention and the lightest touch of oak. In a word, European. 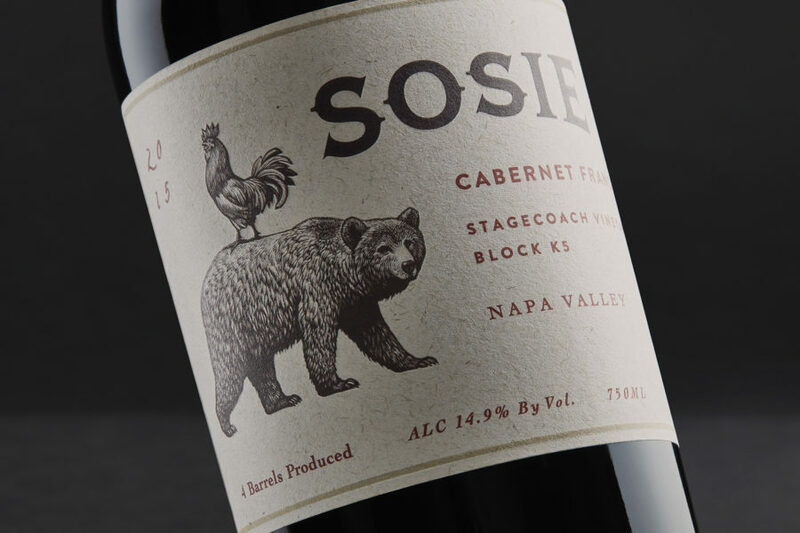 While the French influence on their California-grown wines lives mostly in the cellar and is mostly intangible the design team came back with a curious juxtaposition of a rooster and a bear, one to symbolize France, the other California. It was playful and original and – with Chris Wormell’s artistry – beautiful.